A respectful request for the folks at EW. I don't know about everyone else but I get aggravated when I'm taking shots at multiple animals and my dog gets in my way. See the pic below. In this case I was taking shots at a pair of Arctic Foxes when after downing the first fox my dog gets up and moves in my way preventing me from taking another shot. I couldn't adjust in time to take another shot. This happens anytime I take a shot with any loud weapon. It doesn't happen when taking shots with any silent weapons like bows or crossbows I don't think. This happens with enough regularity that I would like to see a fix for this. Maybe have my dog stay til I give it the command to come to me or I move far enough away that it comes on its own? Just a thought. This happen much to anyone else or is it just me? Last edited by Seifer on November 12th, 2017, 2:15 am, edited 1 time in total. I think the dog should never be in front of me unless tracking. His "safe zone" is huge so even if he isn't in your view he can still prevent a shot from being fired. He constantly gets in the way, even just walking. Combine this with the number of times he has gone running straight past a downed animal before coming back and telling me he lost it, just makes me want to shoot him. Dog is supposed to get better with experience. Mine gets worse. 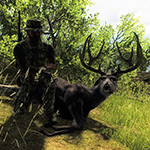 nomad wrote: I think the dog should never be in front of me unless tracking. His "safe zone" is huge so even if he isn't in your view he can still prevent a shot from being fired. He constantly gets in the way, even just walking. Combine this with the number of times he has gone running straight past a downed animal before coming back and telling me he lost it, just makes me want to shoot him. Yes I've seen that before too. My dog won't be directly in front but I still can't take a shot. It would be nice if she remained behind me at all times unless tracking. I don't mind the occasional lost track. A quick command will get her back on track and it doesn't really bother me when sometimes she bypasses an animal or stops short and loses track. It's when she prevents me from taking a shot that aggravates me. Yes my dog is seemingly is always under my feet which wouldn't be so bad if you could push the dog around instead of the dog pushing you around. Being able to push the dog around might be useful also for when she gets stuck on an obstacle, you could assist her around it. When I tell her to stay I really wish she would stay put, shots fired or not until I give the command or walk too far away. I assumed it was deliberate--the dog's response to gunfire. I don't necessarily LIKE it but I assumed it was on purpose. nomad wrote: Combine this with the number of times he has gone running straight past a downed animal before coming back and telling me he lost it, just makes me want to shoot him. This happens when I'm crouching, but not standing. I think the dog isn't meant to start barking if you're trying to be stealthy--though in my experience, that's more a "cosmetic" thing, since the barking doesn't seem to spook animals anyway? nomad wrote: Dog is supposed to get better with experience. Mine gets worse. I do often wonder if the levels actually work at all. They genuinely do not seem to. It may all be in my head, but then again, the levelling system might be completely broken and the idea of improvement itself might just be in my head. I like that the dogs work relatively well out of the box, but mine still loses trails just as often now as she did when I got her. Still extremely useful and I love them, but I don't think the levels actually do much if anything. I could write a long post about all the issues that the dogs have. TheSheWolf wrote: I assumed it was deliberate--the dog's response to gunfire. I don't necessarily LIKE it but I assumed it was on purpose. I haven't hunted IRL but maybe some real life hunters could chime in? The ones who use dogs anyway. 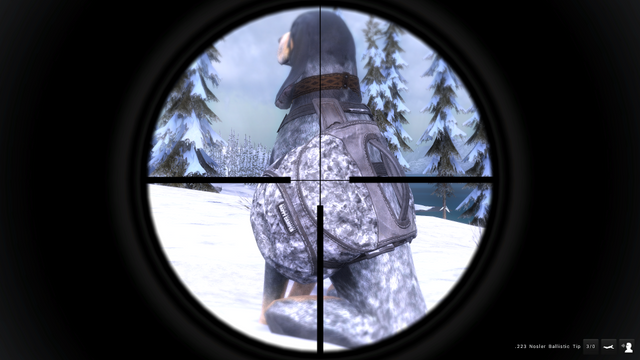 Hunters - How do your dogs behave after taking a shot at an animal with a rifle? TheSheWolf wrote: This happens when I'm crouching, but not standing. 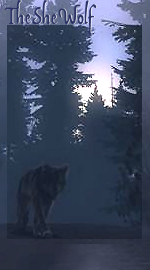 I think the dog isn't meant to start barking if you're trying to be stealthy--though in my experience, that's more a "cosmetic" thing, since the barking doesn't seem to spook animals anyway? I don't really have any problems with my dog barking on her own. I think the only time she does is when she's idle like when I stop to glass but at that point I usually give her the stay command and she won't bark while staying. I'm not for certain but I think the only time my dog spooks anything is when I tell her to stay and I wander too far and she comes to me on her own. When she does bark, it may be an indication of a nearby animal. I need to pay more attention to her when this happens. Maybe she will indicate direction by barking in the direction of the animal. I checked the wiki and I didn't find anything related to this. TheSheWolf wrote: I do often wonder if the levels actually work at all. They genuinely do not seem to. It may all be in my head, but then again, the levelling system might be completely broken and the idea of improvement itself might just be in my head. I like that the dogs work relatively well out of the box, but mine still loses trails just as often now as she did when I got her. Still extremely useful and I love them, but I don't think the levels actually do much if anything. 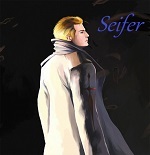 Seifer wrote: I don't really have any problems with my dog barking on her own. I think the only time she does is when she's idle like when I stop to glass but at that point I usually give her the stay command and she won't bark while staying. I'm not for certain but I think the only time my dog spooks anything is when I tell her to stay and I wander too far and she comes to me on her own. When she does bark, it may be an indication of a nearby animal. I need to pay more attention to her when this happens. Maybe she will indicate direction by barking in the direction of the animal. I checked the wiki and I didn't find anything related to this. To clarify, I meant with indicating an animal--if I'm kneeling, she will run back to me rather than bay, with a ?. If I'm walking, she will bark. It was in response to the bit about the dog "losing" a downed animal upon finding it. I THINK it's meant to be, dog doesn't bark when you are trying to kneel-crouch-walk your way along, but could be wrong!